This recipe gives everyone something to enjoy during the holidays! Bananas, waffles and maple syrup? What’s not to love! Create your waffle mix according to package instructions. For 2-3 waffles, use ½ cup banana purée. For 4-5 waffles, use ⅔ cup banana purée. For 9-10 waffles, use entire banana purée. Preheat George Foreman Grill & Broil to 400°F. 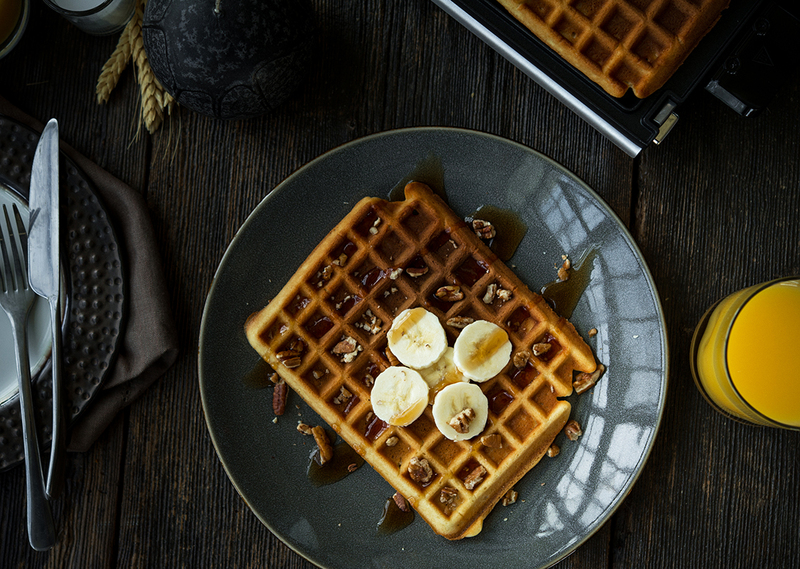 Pour ⅔ cup mix into each waffle plate section and close grill. 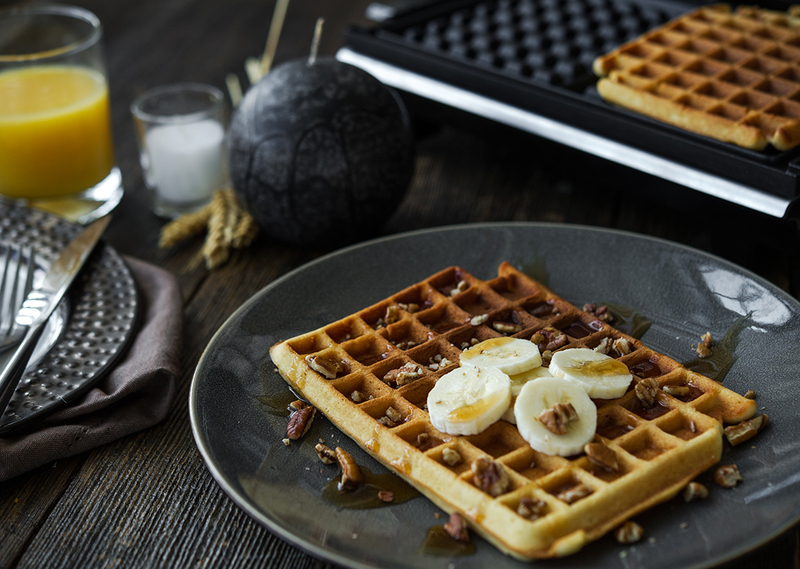 Cook waffles for 5-6 minutes or until steam coming from waffles is minimal. Sprinkle with ground cinnamon and serve immediately with maple syrup.